On the website we’ve listed our favorite party games for kids, tweens, teens, adults and families that are perfect for Thanksgiving get togethers. These can be used for birthday parties or just to have fun with friends and family. A great scavenger hunt list that is filled with 38 things to find that are related to Thanksgiving. The list is free to print out. And of course we have lots of great birthday party themes to choose from! Each page has themed specific ideas for games, activities, invitations, decorations, party food, favors and much more! 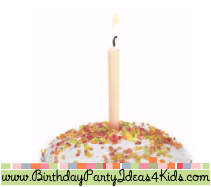 Stop by and see what’s new at Birthday Party Ideas 4 Kids!